The humble potato can be transformed in a million and one ways in the kitchen. It can be grilled, fried, boiled, steamed, roasted and more. Potatoes work as the perfect side dish to just about anything including chicken, steak, fish and even tofu or tempeh. 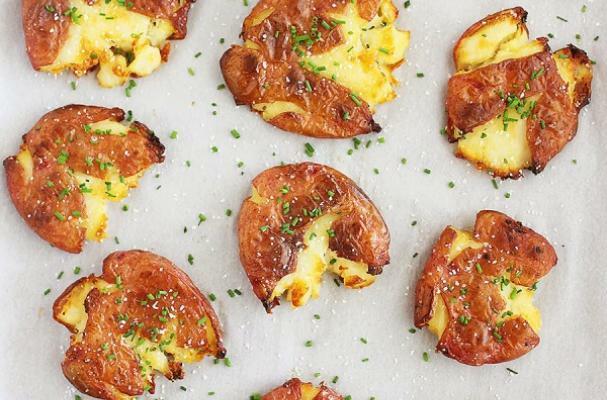 These unforgettable potato dishes are so delicious that they might make you forget about the main course all together. Buffalo chicken potato hash is a single meal that can be served for any meal of the day. I like to eat mine for breakfast with two fried eggs. This hash would also be delicious wrapped in a whole wheat tortilla or lettuce for lunch. Does you're perfect mashed potato recipe include cheddar cheese and bacon? Because mine definitely does. Cream cheese, butter and sour cream are whipped with the tender potatoes before a mountain of cheddar cheese, chives and bacon showers the top and is baked in the oven. These flavorful French fries are inspired by the classic Italian dish, pasta alla carbonara. Crispy potato wedges are tossed with pancetta and smothered in freshly grated parmesan cheese. This basket of fries is so good, the burger is optional. Crispy salt and vinegar smashed potatoes combined the flavors of a potato chip with the creamy texture of a roasted potato. This side dish is perfect along grilled steak or chicken, fish or even a vegetarian meal of quinoa and salad.